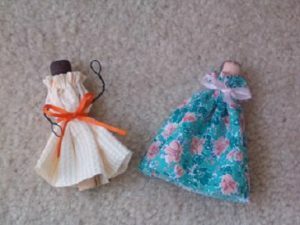 Clothespin dolls have a long and interesting history, being immensely popular after the civil war, serving as a great source of income. 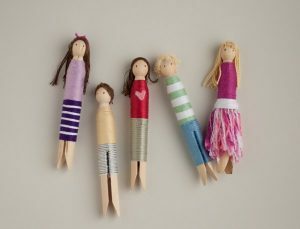 To enhance your home décor, you can make plenty of them using old-fashioned wooden clothes peg, with the given tutorials being your guide. 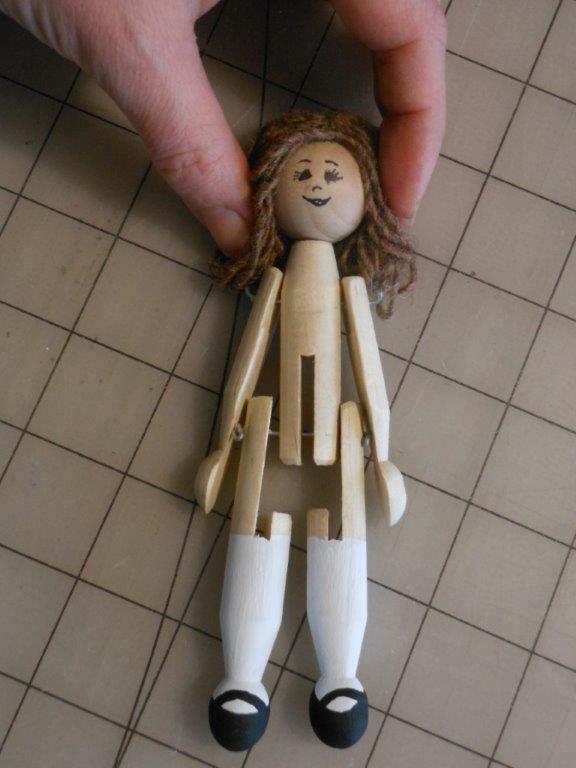 Having all the supplies at hand or buying a kit would help designing your dolls in a more convenient way. 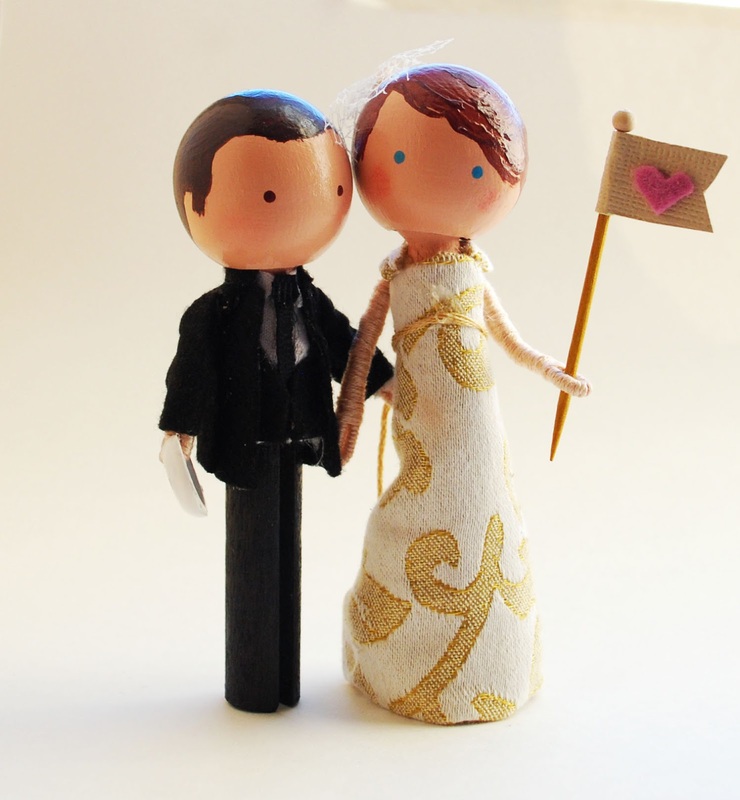 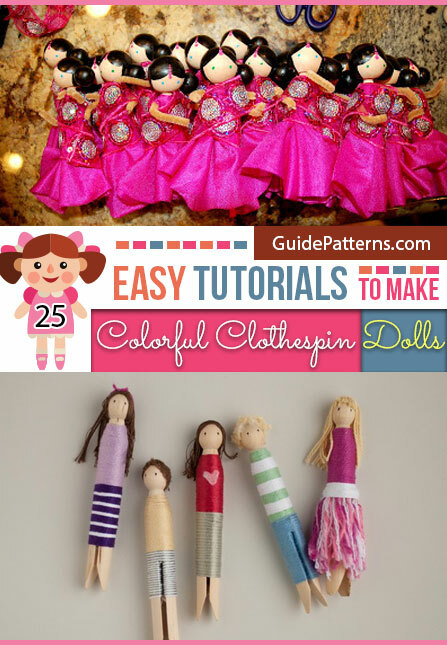 Wrapping colorful threads around the dolls as their attire is indeed a magnificent idea. 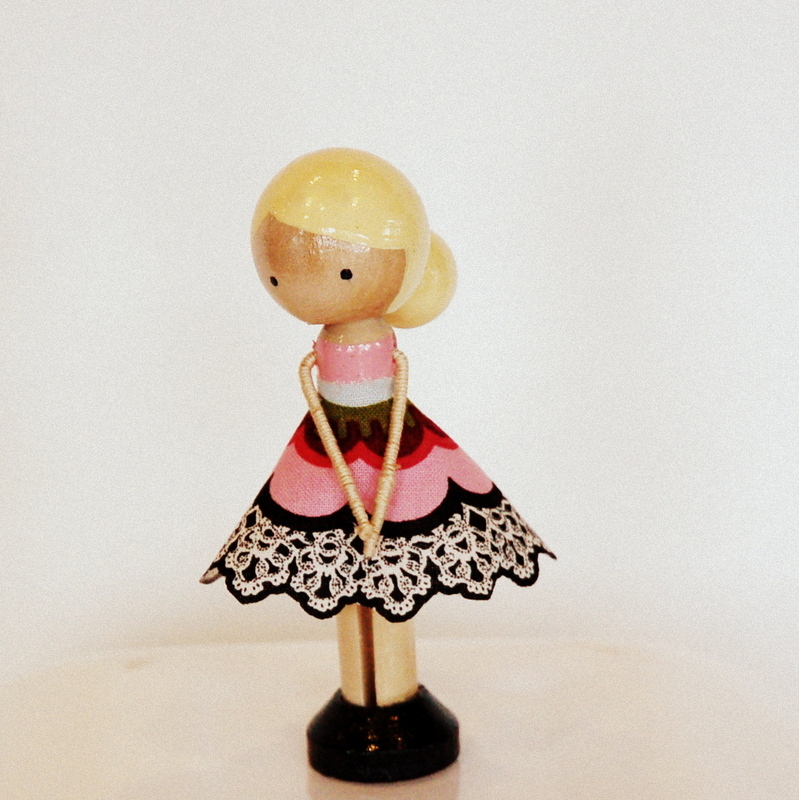 The black polka-dotted skirt makes your doll look seemingly elegant. 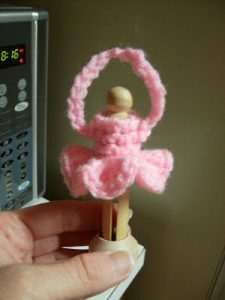 Attaching a wire at the back would turn your lovely dolls into attractive ornaments. 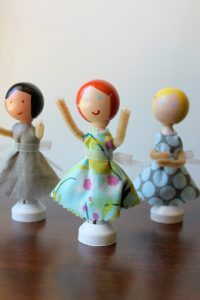 If you detest a stint with the needle and thread then this tutorial would be apt for you. 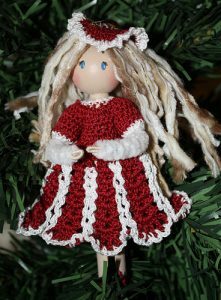 The pretty crown adorning the doll’s head make them look like a real princess. 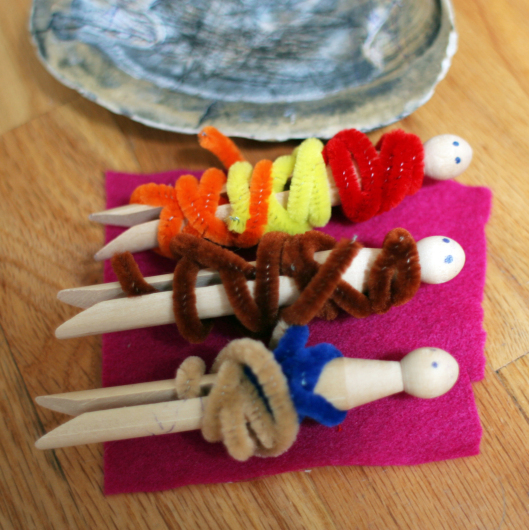 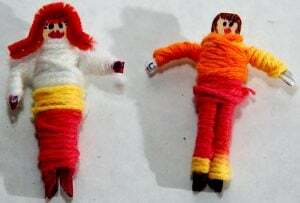 The different posture of the arms made by arranging the pipe cleaners in various ways is indeed an innovative idea. 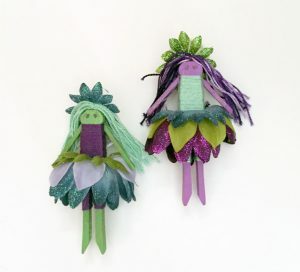 If you are planning to make Irish dolls for St. Patrick’s Day keep the pattern of their outfit confined to shades of green and white. 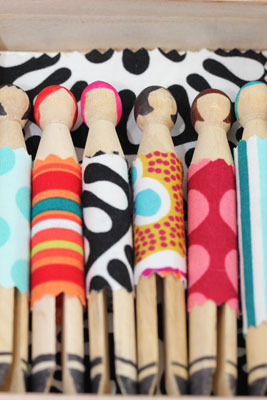 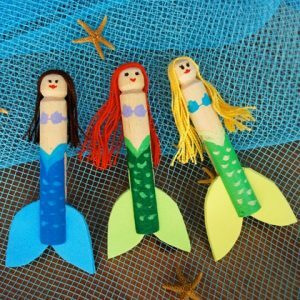 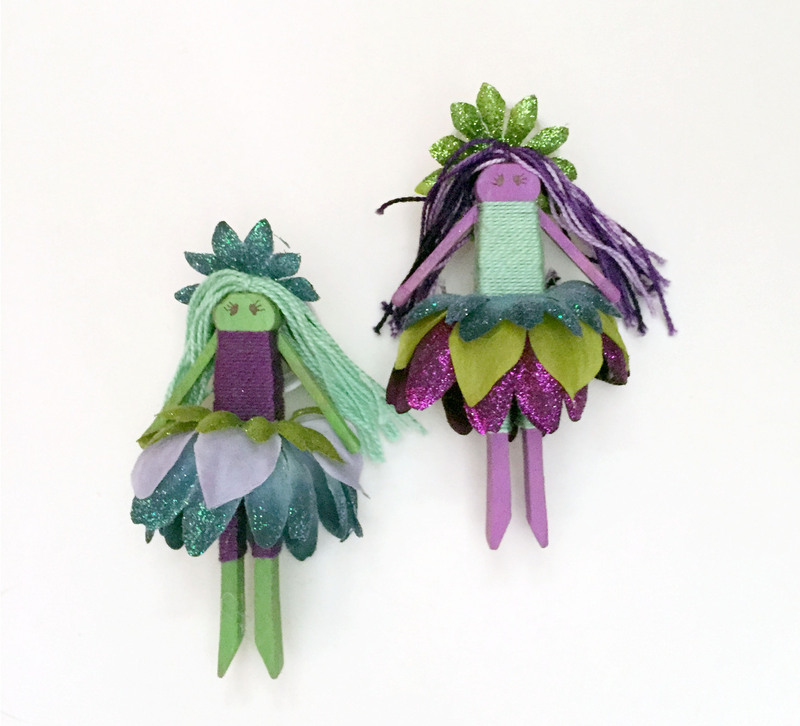 Simply wrapping colorful fabrics around the pretty ladies is perhaps the easiest way in which you can make clothespin dolls. 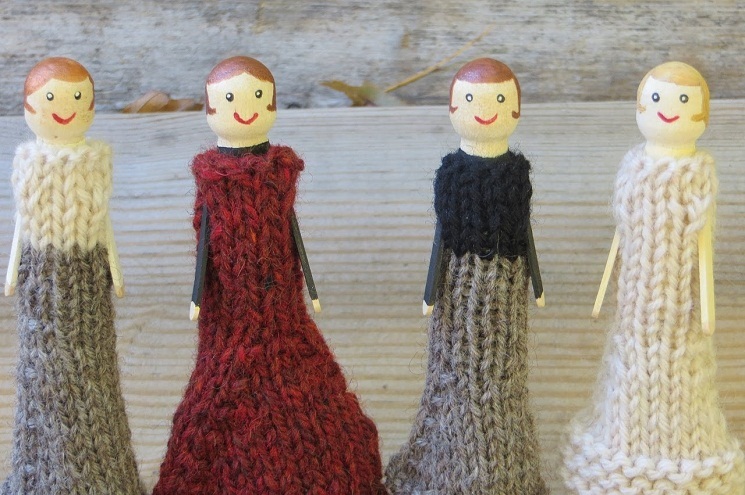 The woolen clothespin doll clothes make them look exceedingly real. The wig made by wrapping yarns, gives the doll a splendid look. 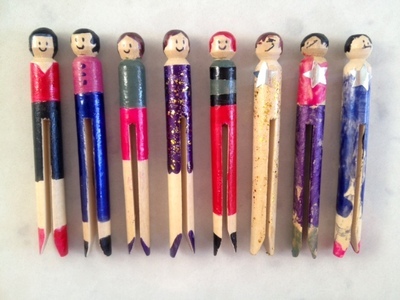 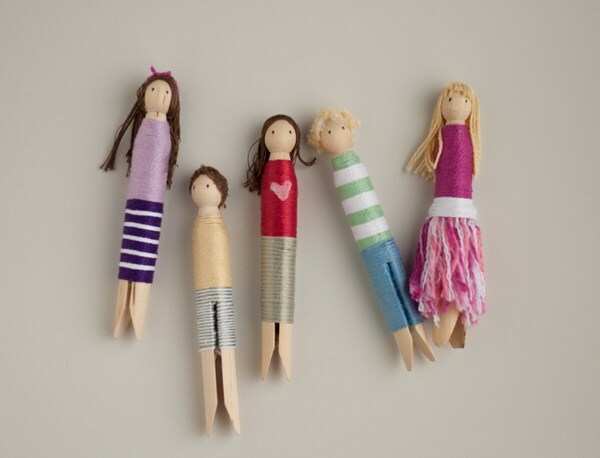 Your kids would have a whale of a time in decorating the dolls with a color of their choice. 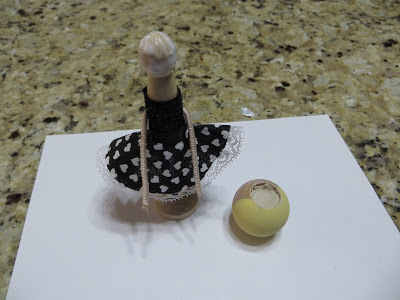 You can deck it up with shoes by adding a dab of paint at the rear end as shown here. The bright pipe cleaners wrapped around the dolls look simple yet elegant. 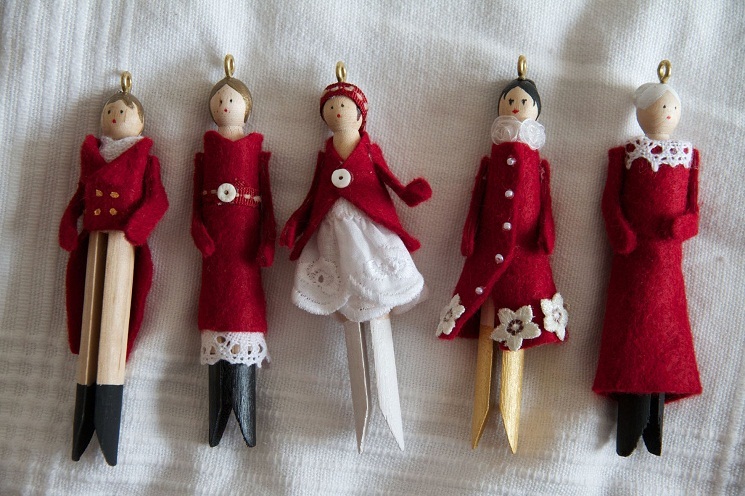 The red and white outfits of the dolls set in the prefect mood for Christmas. 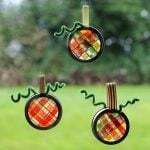 You can hook a wire to hang them as Christmas ornaments. 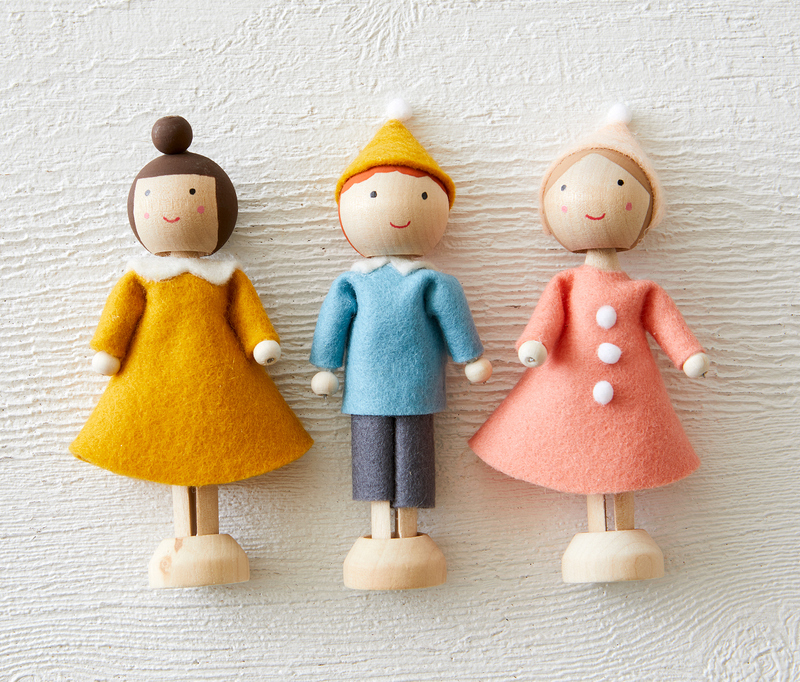 Want your troubles to fly away soon, then keep these pretty clothespin dolls under your pillow after you have shared your worries with it. 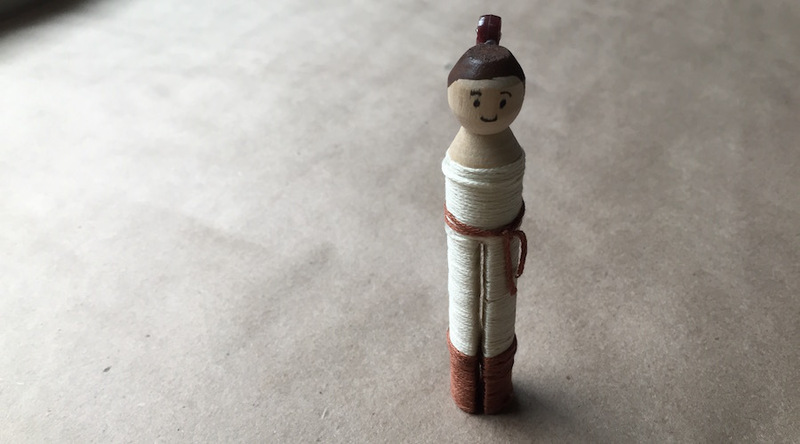 If you desire to make a clothespin doll without spending much time in doing so, then this tutorial would suit you the best. Dressing your clothespin doll with a handmade tutu-styled crochet outfit would be a wonderful choice indeed. If you are fascinated about dressing your clothespin dolls in magnificent attires from all around the world, then try your hands at these Indian ones, beautifully draped in the traditional Indian sarees. 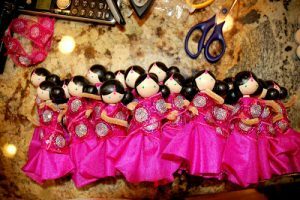 You can also increase your doll house collection by making varied Asian dolls like Japanese and Chinese as well as African ones. 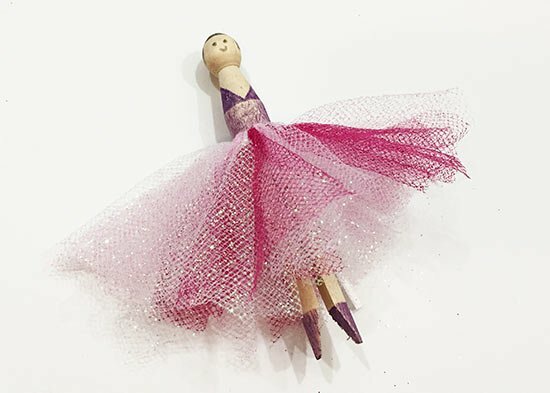 These elegant ballerinas would be another choice at hand while decorating your home with bright ornaments during Christmas. 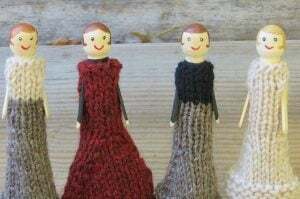 Taking a cue from the given tutorial you would be able to make these cute Pilgrim dolls on the occasion of Thanksgiving. 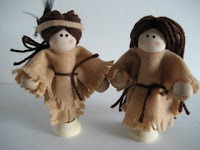 To give accompaniment to your Pilgrim dolls these Native American pairs would be wonderful. 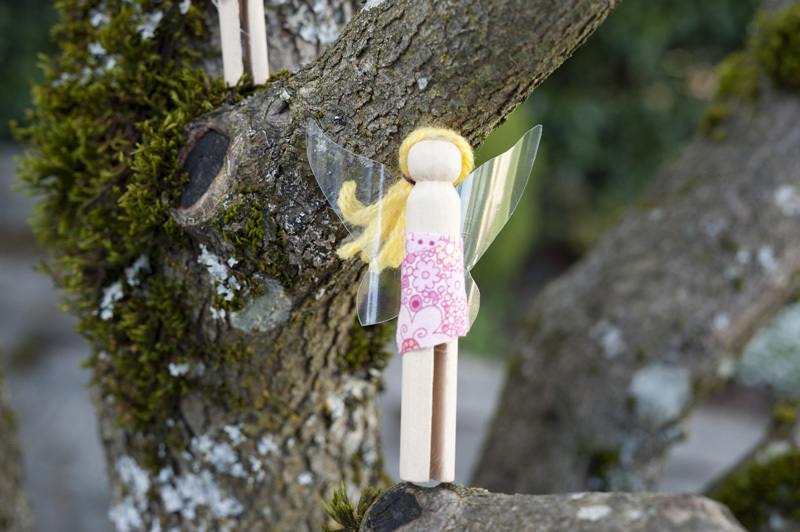 Your little girl would be delighted to have a tiny fairy playing with her! 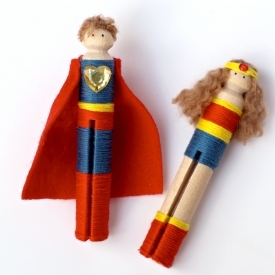 If you have a super hero themed party then these paired dolls of a Superman and women would intensify the celebration further. So with ample of clothespin doll designs in your kitty go ahead and choose the pattern of your choice. 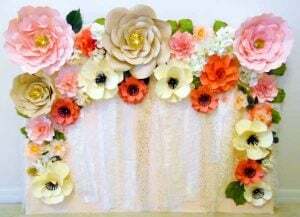 Give them a personal touch by decorating them with ornaments as well as designing furniture for them.